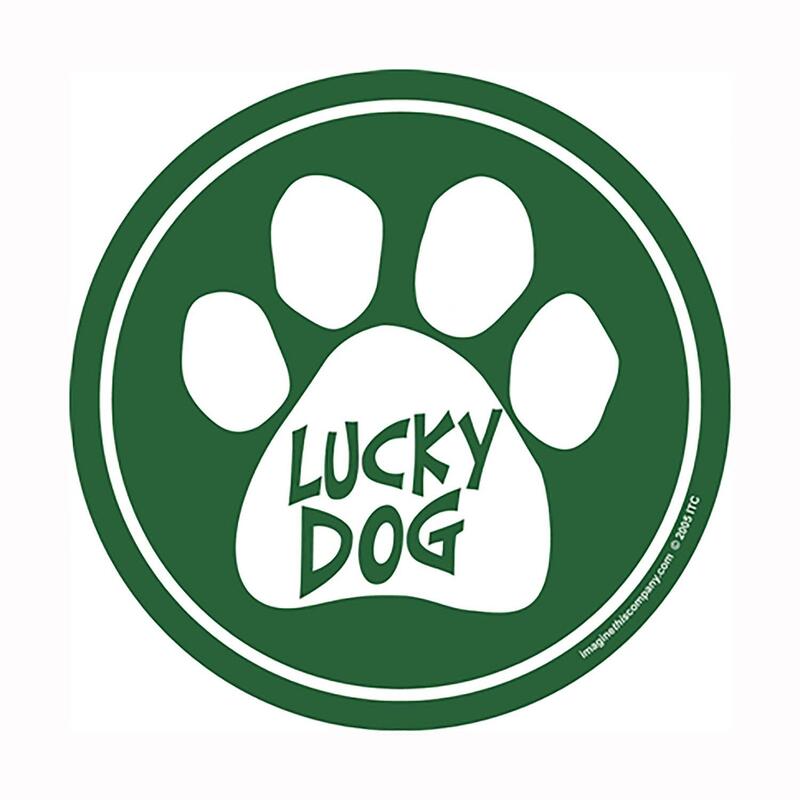 Show off that you have precious passengers with a Lucky Dog Car Window Decal! Green vinyl with white print. 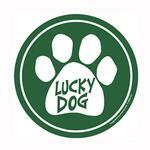 The Lucky Dog Car Window Decals is a fun green circle with saying and paw print, that apply easily to any car window, mailbox or other smooth surface. Transfers easily to outer surfaces leaving only the image behind. Made in the USA. -Carefully Remove the transfer tape, leaving the decal in place. Enjoy! Please Note: This product is not intended for use on the painted surface of your automobile. Due to wide variations in surfaces and finishes, no guarantee is expressed for implied as to removability. These were items for my grand-dog who stayed with me for a couple of weeks while my daughter was out of town. Everything fit and they were just in time for our first cool spell.